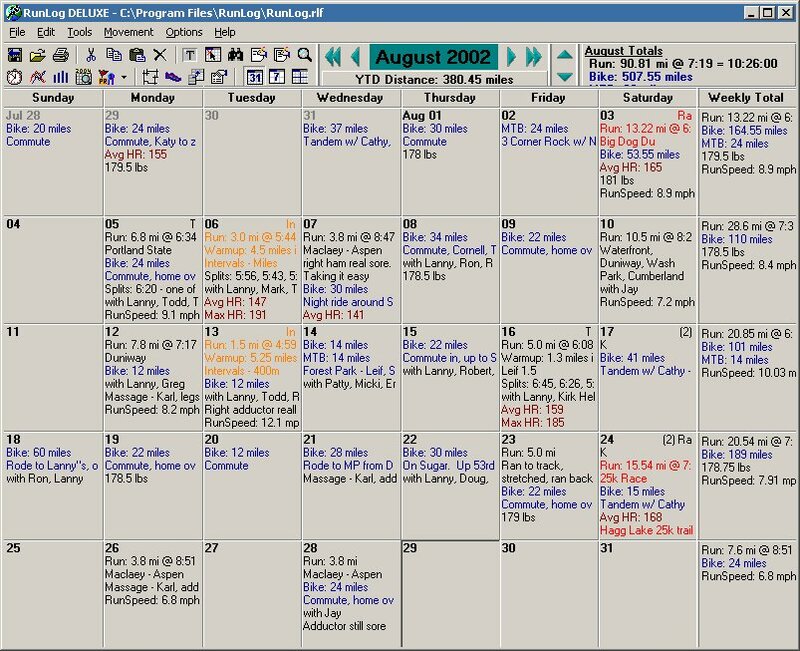 The calendar window is your primary interface into RunLog. Each time you start RunLog, the calendar window is opened to the current month and the current day is selected. 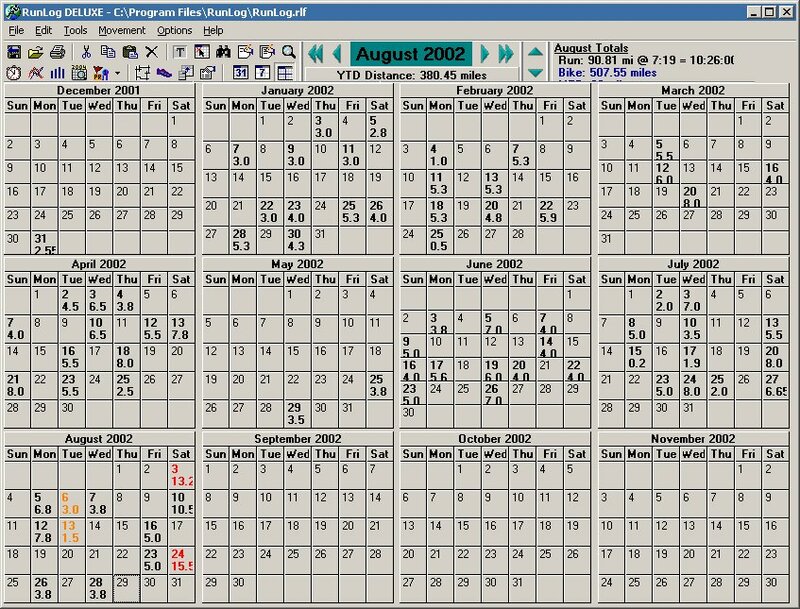 No data is entered on the calendar, but it is your interface to all the other windows. 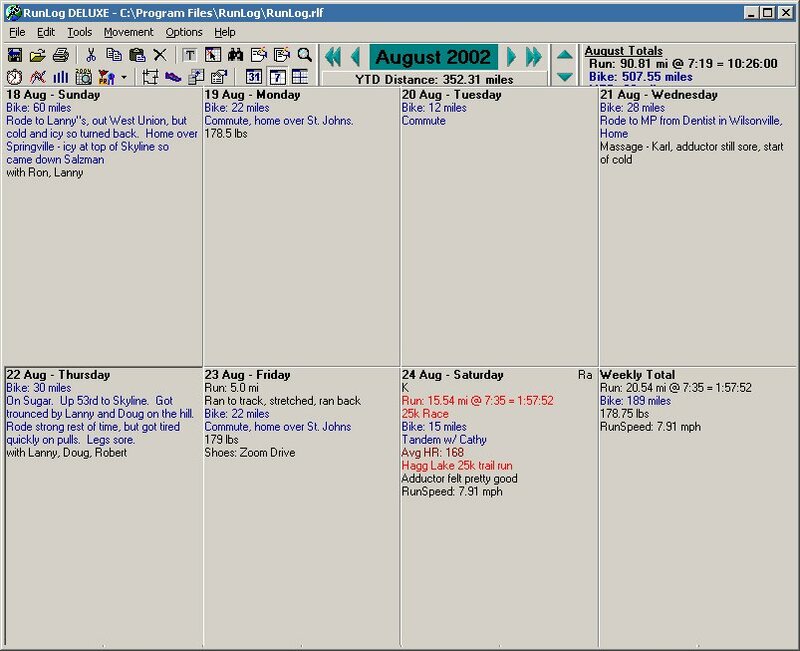 Simply click on a day to open the Run Entry window, where you enter all run information for a day. Use the quick-use toolbar to access the most common features. Daily, weekly, and monthly totals as well as the YTD or Rolling total are instantly updated for you when you enter a run. You can choose to view your calendar in a weekly view to see more information. Click on picture to display full-size. Or choose from Multiple month views of your data. You can choose any number of months to display at a time. Click on picture to display full-size. 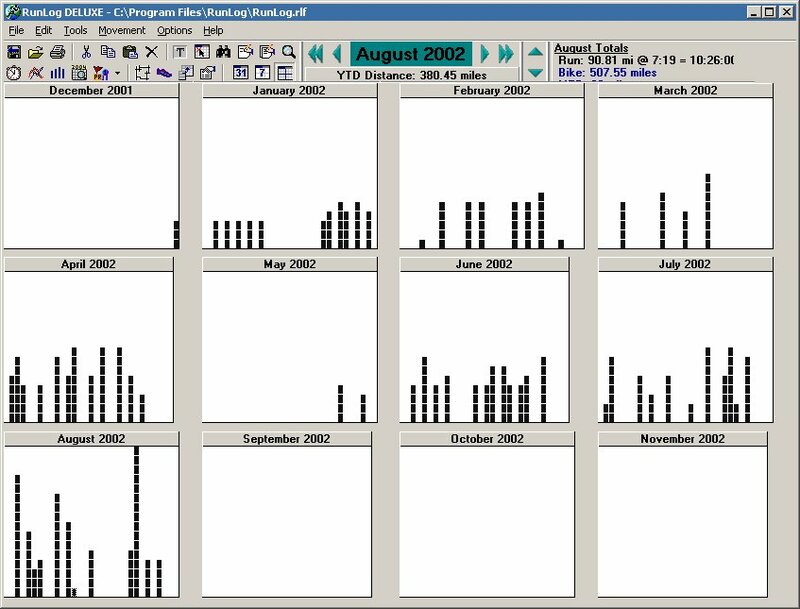 Or display the same multi-month view as graphs. Click on picture to display full-size.